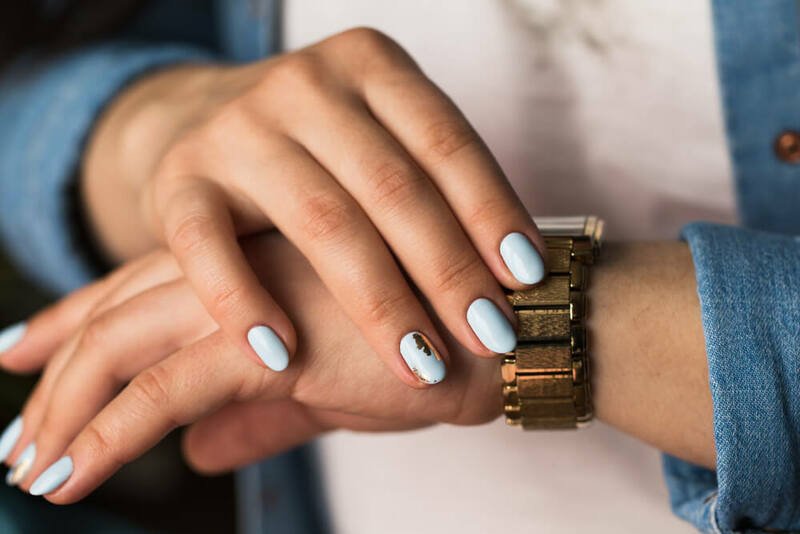 Whether you consider yourself to be a “girlie girl” or a no-nonsense female, most women will agree that it feels good to have your nails professionally cared for. After a manicure, you feel neat, tidy and, well, pretty. There are so many options when it comes to getting your nails done today. But when you slide into the manicurist’s chair and she takes your hands in hers, one of the first questions she will most likely ask is whether you want a matte or glossy finish on your nails. At first blush, this seems to be a question of personal preference. It is also one that is guided by current fashion standards. For those guided by the latest fashion and celebrity trends, matte nail polish lends a modern, chic touch to nails. This trend holds true for lighter and darker nail colors. It seems though that most women prefer a dark matte color. Some ladies state that a matte nail color stays fresh looking for a longer period of time. This seems to be particularly true if they are typing a lot or using a computer at work. As matte nails are a big trend for this coming fall season, there are many new matte nail polishes coming onto the market. For those who want to participate in the trend without going completely matte finish, there are new matte top coats, such as Rescue Beauty Lounge Matte Top Coat or Essie Matte About You, that will give you the matte look without completely making the nail color flat. There are also options for a matte nail finish for men. Check out Nubar V for Men Matte Nail Finish Protector. This allows men to achieve the protective qualities of a top coat without the shiny appearance. Orly Nails for Males provides a similar protective matte top coat that is specifically designed for the needs of a well groomed man. Despite the matte nail trend, many women prefer a glossy finish to their nails. The range of available colors is limited only to your imagination. If your preferences fall somewhere in the mid-range, meaning nails that aren’t so glossy that they appear wet or completely flat matte, there are a variety of creative options available to you through your professional nail stylist. For your summer season, try some of the pearly nail finishes. These will give your nails a light sparkle quality in the sunlight. You can also consider decorating your nails with a motif. This trend in nail design remains strong among all age groups. Your nails are a way to complement your overall style. They are often the “finishing” element for an outfit. You can choose a style that is more reserved, elegant and tailored or use the opportunity to go for something a little more avant garde. The beauty of nail finishes is that if you don’t care for the finished product, it is very easy to change it to suit your tastes. So, use this opportunity to experiment! Visit your local nail salon today and try a new style for the season!